Could Olympic become Brisbane's next A-League club? Brisbane Strikers, Brisbane City, Ipswich and now Redcliffe are all possible contenders to be Brisbane’s next A-League club, but what about Olympic? The recently released Stadiums Taskforce report makes it abundantly clear in its recommendations that the Queensland government should not be funding any new stadiums in Brisbane and should reduce Ballymore to a training centre for rugby union. So unless a wealthy consortium or rich foreigner puts up the money themselves, neither Brisbane Strikers nor Brisbane City will get their own stadium, forcing them to share Lang Park with the Roar. The only other locations in Brisbane with existing stadiums that could be used in the A-League are Redcliffe, which has Dolphin Stadium, and South Brisbane, which has QSAC. The trouble with Dolphin Stadium is that it is shared with the Redcliffe Dolphins rugby league club and its catchment area in Moreton Bay Region has a population only about the size of the ACT. By comparison, the southern suburbs of Brisbane are home to about half of the city’s population and QSAC could be reconfigured at minimal cost as a football-specific ground. The only questions are: who should play there and who should they represent? During the bidding process in the last round of expansion Brisbane City were setting themselves up as a northern club, so you can rule them out of the idea of playing in ‘South Brisbane’ at QSAC. 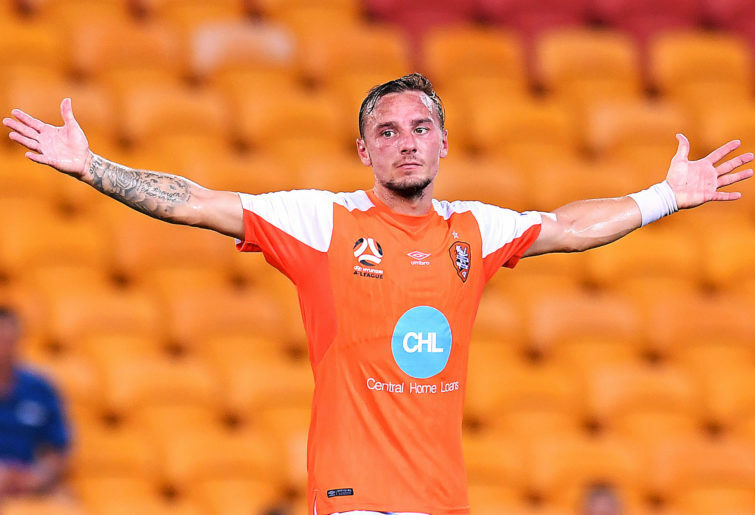 Brisbane Strikers, however, sought to represent the whole of Brisbane, much like the Roar, but they aren’t distinctly southern, it wouldn’t be as tribal as a purely southern club would be. Would the Strikers even want to play at QSAC? I doubt it. That then leads us to look to southern-based NPL clubs to see if any might be suitable. There are just four to choose from, those being Western Pride, Queensland Lions, Redlands United and Olympic. Both Western Pride and Redlands United are on the south side of the river but both represent only small, distinct regions of Brisbane and neither are close to QSAC. The Queensland Lions might be able to make the move to QSAC, but the derby with the Roar might be a bit silly. That leaves just Olympic, which might be able to move to QSAC if they were to change their name to South Brisbane Olympic. As a club that has always been on the south side of the river and is part of the South Brisbane region, QSAC might suit them. The second track with a 4000-seat grandstand next door would also work well for W-League matches. The history of Brisbane’s north-south rivalry would make a good backdrop to form a derby around. From what I’ve heard, it goes back to when north and south Brisbane were two separate cities and when North Brisbane heavily taxed the southerners when they wanted to cross the river to bury their dead at North Brisbane Burial Ground, where Lang Park now stands. For a South Brisbane club, then, crossing the river to play another team at Lang Park would have special significance even without the need for any previous on-field history. As long as Olympic can market themselves as a team for South Brisbane, people will find themselves drawn to the club, but they don’t need to abandon their heritage either. If they keep their colours, all they might have to do is change their name a bit and upgrade their logo. Olympic would simply become South Brisbane Olympic, and they could change their logo to look like that of Olympiacos but substituting their own name in English text. Olympiacos has broad similarities to South Brisbane, like its history as a port, which mirrors South Brisbane’s history of having a similar role for Brisbane in the past, and South Brisbane’s more working-class suburbs mirror the more working-class fan-base of Olympiacos. Then you have the name, Olympic, which suits a team playing at a stadium like QSAC quite well. If Olympic can promote themselves as a club for South Brisbane with a strong grassroots focus and with a close connection to the region’s history, identity and people, then the Brisbane derby could be similar in size to those in Sydney and Melbourne. One half of the city against the other, north versus south. Overall, South Brisbane Olympic would make a good choice for Brisbane’s next A-League club. It’s just a matter of whether or not Olympic themselves would want to make that leap.